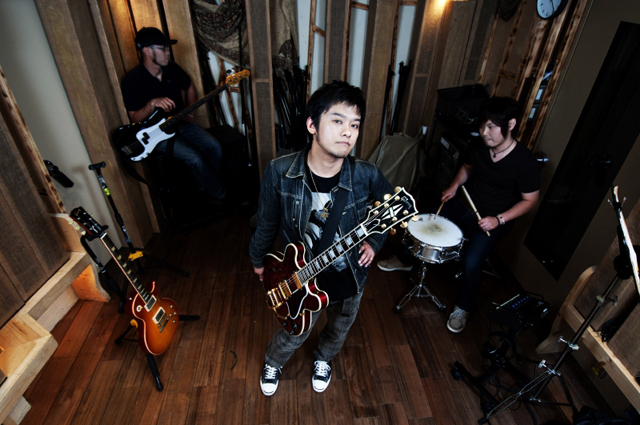 The band was formed in January 2001 by Kazusou Oda (Vo., Gt.) and Ryuta Hashiguchi in Kagoshima Prefecture. The previous bass member left the band that year and became the current lineup with the inclusion of Genta Matsumura to the band. While performing in more than 50 concerts a year all over the country, released the album “Tomorrow Is The Another Day” in November 2002. Their straightforward, masculine sound and music has caught the attention of many. All the members of the band moved to Tokyo in 2004 in order to concentrate fully on their musical career. In February 2005, released the single “Melody”. Since then, the band has been performing live at various venues including one-man shows and music festivals while constantly releasing works and doing genuine rock music.